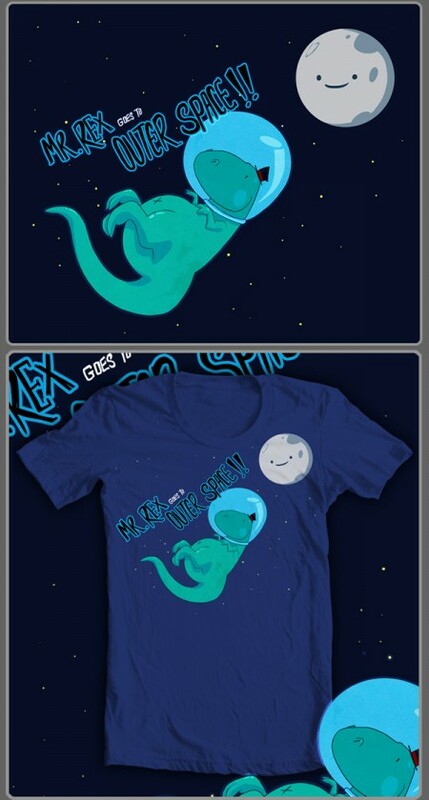 Mr-Rex goes to Outer Space! The latest shirt design from Rachel George is up for voting on Threadless.com, Threadless is a social website where creatives get together and create amazing visual funk on tees, hoodies and now even baby clothes! Each shirt goes through a week of voting before it’s fate is decided, to be printed, or not to be! Help Rachel’s latest design become a real tee by voting!